Technology has made life extremely convenient in so many ways, yet, there may be a hefty price to pay for it. Cell phones, computers, tablets, laptops, electronics, wireless devices, and all the other snazzy electronic devices around us have one or more dangerous components about them: EMF’s (electromagnetic emission frequency). This leads to massive energy interference which has adverse effects on the health of you, your children, and your teenagers (whom of which are more vulnerable)… unless you arm yourself with some dot gadgets. Unbeknownst to most people, we once lived in a balanced energetic world. However, since the accumulation of electricity, electronics, and wireless technology, we are submerged in a world now suffering from massive energy interference. A place where invisible electromagnetic emissions are commonplace at home, school, and at work; this kind of interference zaps our natural energy, causing symptoms like fatigue, headaches, and quite possibly, much much more. Have you ever felt that “hot ear” when you are on your mobile? 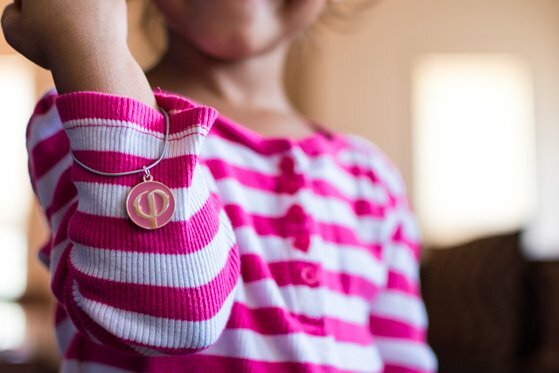 Research studies have shown that prolonged exposure to these unnatural frequencies can have unfavorable effects on our health – especially our children, who are growing up in a world where these amazing gadgets and gizmos are a way of life. 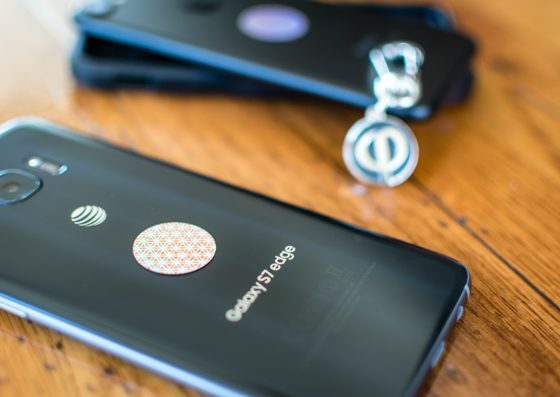 According to the World Health Organization, the cancer research agency reported at the end of May 2011, that cell phones are “possibly carcinogenic”. Whether you are aware or not, mobile phone technology and other similar devices affect our bodies, and there are two key reasons children and teenagers are more vulnerable to EMF’s emitted by these devices. One, they are still growing. The natural growing process that occurs means that they are undergoing higher rates of cellular mitosis – the process by which cells divide and multiply. 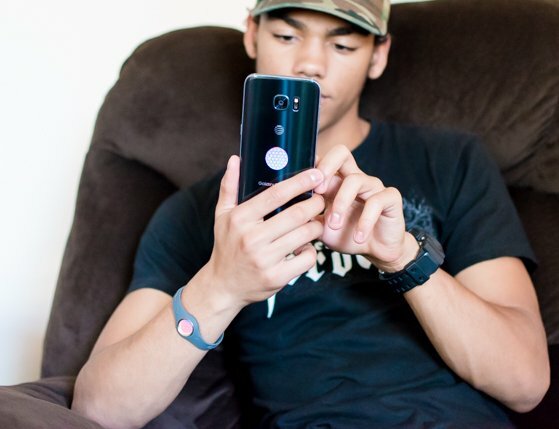 By being exposed to EMF radiation from devices like cell phones, baby monitors, and WIFI, it’s been shown to lead to genetic mutation – some of which is irreparable. This damage to the DNA in the cells of children will replicate more rapidly, whereas, in adults, the rates of cellular mitosis are much lower. Sure, wireless radiation can damage anyone’s DNA; it’s the impact of that damage that is much more significant in children because the damage is replicated more. The second primary reason that children are more vulnerable is that their skulls are thinner than those of adults. The skull provides a natural shield against EMF radiation, helping to protect the brain. Because the skulls of children are thinner, they provide less protection against EMF radiation entering the brain. As a result, the radiation can penetrate more deeply into the brains of children, than those of adults. EMF radiation from wireless devices poses health risks to all of us, but children are much more vulnerable to damage from these forces. 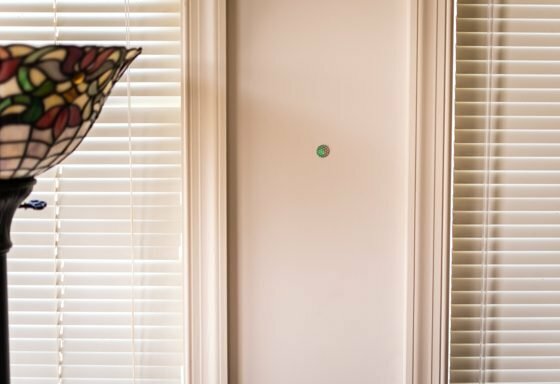 There are significant ways to minimize and reduce your child’s exposure (and yourself) to cell phones and similar devices… you simply start with a Dot; an EnergyDOT. EnergyDOTs™ are activated by Programmed Harmonic Interface Technology® (developed exclusively by Phi harmonics). This activation is similar to homeopathic medicine or other vibrational remedies, where an energy signature is stored in a solid substance. Each energyDOT™ is programmed with naturally occurring bio-energetic information according to its purpose. The powerful resonance held by energyDOTs™ re-tunes man-made EMFs to a natural harmonic by a process known as the ‘principal of entrainment’. An energyDOT™ acts like a tuning fork on electromagnetic fields in its immediate environment. The human body’s electrical sensors recognize the re-tuned emissions as being in harmony with its natural healthy state. The body no longer needs to react defensively to emissions from the ‘harmonized’ device and electro-stress is relieved. 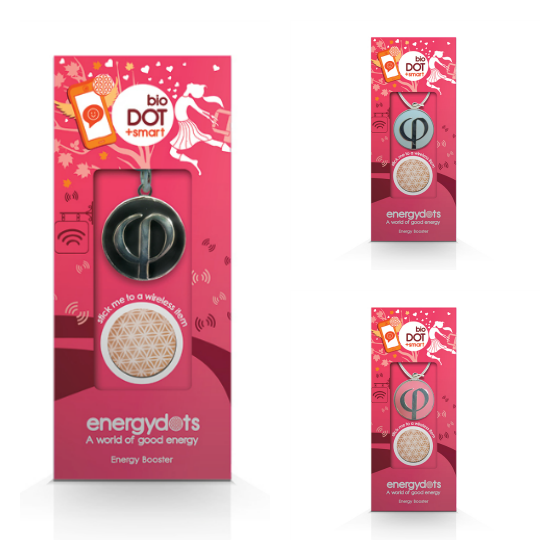 EnergyDOTs™ are a suite of four small wafer-thin magnetic discs, each designed for a specific use. The low power magnet acts as a storage device. Magnets are often used to store information, for example, a video tape, tape cassette, and magnetic stripe on a bank card are all storage devices. 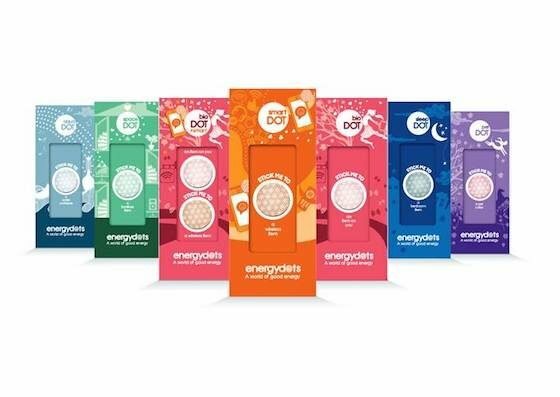 EnergyDOTs create a world of good energy, right on your body, helping to reduce the negative health effects from our much loved (and can’t function without) gadgets. 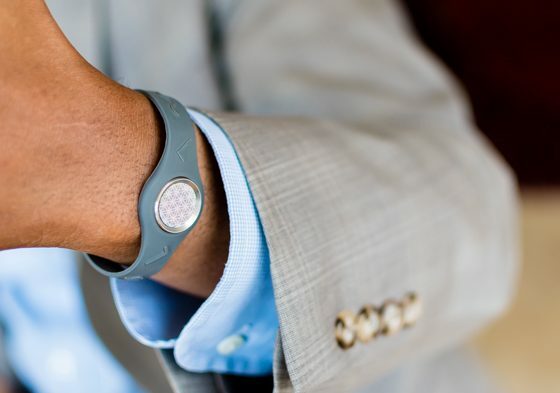 The bioDOT (which is available in various wearable options) is designed to be worn all the time. Power comes from the bioDOT which radiates a natural energy signature. The natural frequencies used in this programming naturally harmonize your energy field while retuning and reviving the human energy field. It literally recharges your human battery. Feeling like you are literally running low on energy? Look around you. 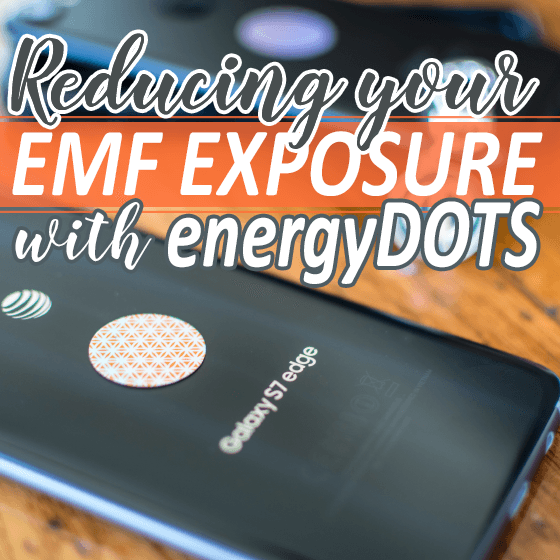 How much are you really exposed to EMF’s throughout your day? 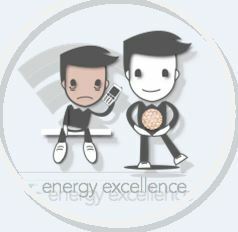 A bioDOT would be like a recharge! 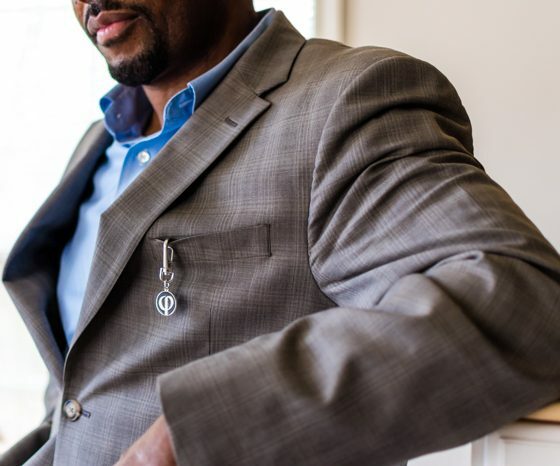 BioDOT users report more energy, greater concentration, better sleep, fewer headaches, a sense of calm, and less stress throughout their day. The smartDOT is designed to harmonize the emissions from our can’t-live-without devices directly from the source. The smartDOT stores and radiates a naturally occurring frequency which, via a process known as entrainment, retunes the emissions to a more natural coherent frequency. This, in turn, reduces the harmful effects on our bodies. The smartDOT is backed up by research which can be found on the energyDOT website. The spaceDOT is designed to harmonize disruptive energies in a room, uplifting the energy in your home or workspace. Energy interference is caused by man-made EMFs, as well as architectural, historic, or negative earth energies. 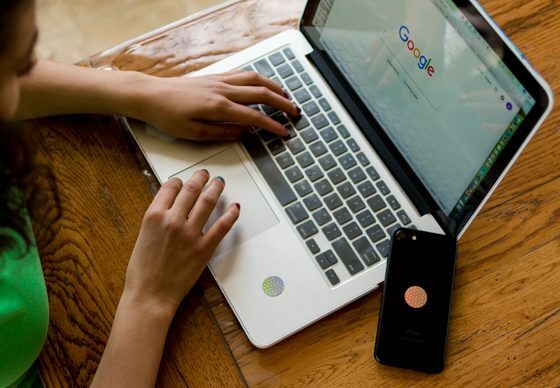 Begin by protecting yourself and your family with a starter pack which includes: a bioDOT™ for you and a smartDOT for your mobile phone, then harmonize your laptop, computer, or tablet with a smartDOT , and finally, add on a smartDOT to your wi-fi router. Then, choose an area of your home to place a spaceDOT™ to harmonize the energy field that exposes you the most. Go even further by harmonizing your drinking water with an aquaDot™ on your water filter. Our gadgets and devices are amazing technological items that have allowed us so much freedom and convenience – though there are some legitimate concerns about their safety. The problem is not going to go away, but using DOTS is simple and a very easy to implement a solution. EMFs and the harm they cause humans and all life forms is now extremely well documented, and while none of us want to give up our gadgets and devices, the world is not going to go backwards technologically (thank goodness), however, there IS a solution to this very real problem of EMFs, and that is, of course, energyDOTS! PREORDER Now: Launching in the U.S – so pre-order yours with our special 20% discount voucher! Just use coupon code: “dailymom” when you visit the new US Website. Now you know with certainty how to protect your growing children with these charming, stylish, and chic energyDots. 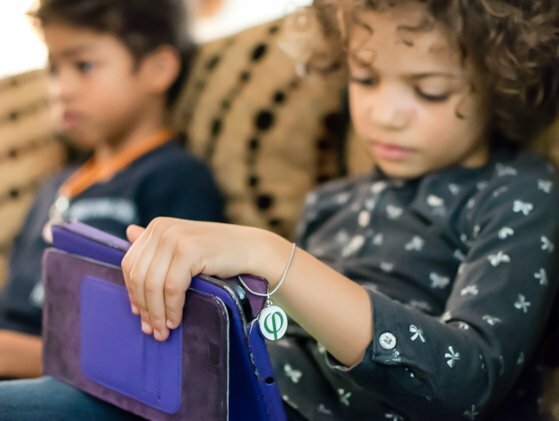 Protection and ease of use go hand and hand – just be sure to share the great news next time you visit a family with children who are surrounded by their entertaining gadgets!